Summer means it is hot! Obviously. And when it is so hot, you dream of a cold shower, sitting in front of the A/C, and downing ice water. Blow drying and heat styling your hair seems like the absolute worst. I mean, hell could not be hotter than you are after blow drying your hair on a hot day. 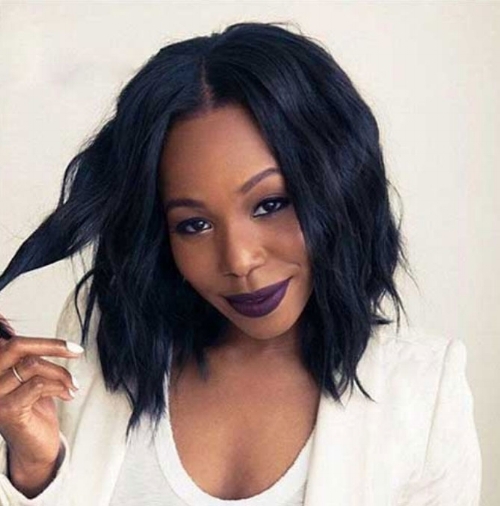 But since we all still want to look our best, there are plenty of ways to get that go-to summer natural waves without the damage and extra heat for more than a few minutes. First off, a fresh cut is the best way to start the season. Whether you get a trim or chop it off as I recommend in Liberate Your Hair. 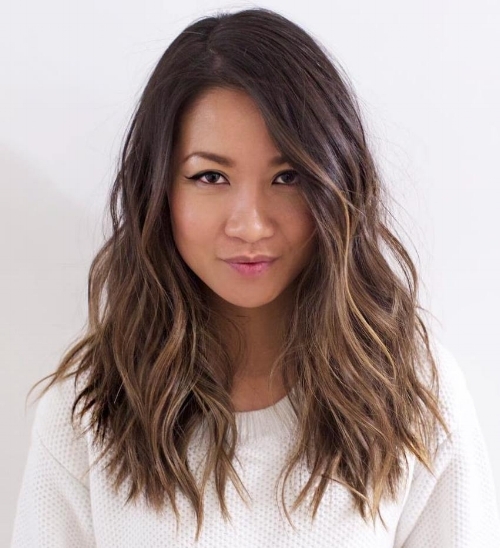 Either way, getting rid of split ends that have been drying up since winter and adding in a few choppy layers will help all these low maintenance styles look even better. Yes, of course you could run through your locks with a curling wand or even use a fancy technique with a straightener, but as mentioned heat is a no-no in summer. Plus, who wants a nasty curling iron burn on their neck for the next few months? Not me. The first and probably easiest way to achieve effortless waves this season is by using one simple product that costs only $10. Kristin Ess Sea Salt Air Dry Spray is sold at Target and offers you subtle, volumized, and healthy-looking waves instantly. Simply spray this dry spray into towel dried hair and scrunch. Your hair will dry in its most natural form and last until your next wash. Now, this is best for those with straight to wavy hair that is somewhat fine as it actually helps to add that texture, thickness, and bounce. Kristin Ess even threw some extra hair care benefits into this line. It contains something called a “Zip-Up Technology” that targets split ends, prevents color fade, and even protects hair from damage. So along with your style, you get some helpful hair goodness. But if you already have a touch of curl in your hair, a mousse will do the trick. That way your natural texture and shape can shine through without any unwanted frizz. You’ll want something that gives the look of a sea salt spray, and is not as drying to your hair. And the Moroccanoil Beach Wave Mousse is ideal for that. This mousse does not contain any salt and is actually moisturizing with its added argan oil. Simply shake up the can, apply to wet hair, and let air dry. Your natural waves should dry into that perfect windswept style and last all day. You will realize how much you love you natural hair! As for naturally curly or coiled hair, you always want to start with a killer conditioner and then follow with a leave-in conditioner. If you leave these steps out, your hair will be more frizzy than fire. DevaCurl SUPERCREAM Coconut Curl Styler is specifically made to define curls while adding volume and maintaining softness. You can use this cream on wet, damp, or dry hair to achieve a more defined or more relaxed look. And even if your curls are looking a bit weak two days in, a little of it will give you hair a nice boost. Some other no-heat styling tips for those coveted beachy waves are braiding your damp hair before bed. This is pretty much foolproof and requires little to no skill or time. I’d recommend sticking with damp hair, because if it is too dry the curl may not hold, and if it is too wet it may not dry by morning. Then you can braid your hair based on the exact look you want. If you want tighter curls that last longer, you can do two french braids. But if you want looser waves you can just do two simple loose braids. The tighter it is, the longer the curl should last. Then when you wake up, shake it out and add some texturizing spray for body and hold. We love Oribe Dry Texture Spray, it is a bestseller for a reason. Or, you can reach for a sea salt spray like Bumble & Bumble for a more tousled look. Now, you should be out there killing it with your snazzy hair style. People will ask you left and right what you use in your hair and how you get it to look so perfect and effortless. And the secret is, it just really is. You are a few tszuj away from your favorite hairdo yet. You can now achieve the perfect beach waves for all the summer days. I can’t promise you’ll look as snatched as Bey, but hey, you can’t blame a girl for trying.